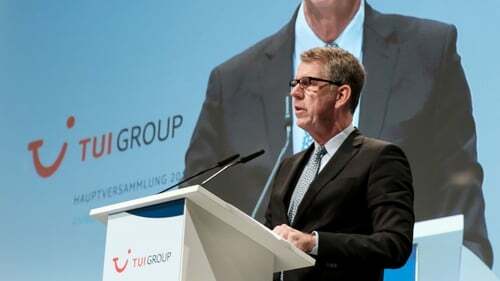 TUI said its underlying loss had widened in its first quarter, days after the tour operator slashed its full-year forecasts due to an unusually long and hot summer in northern Europe. TUI's underlying loss reached €83.6m in the three months to December 31, widening from €36.7m the same time the previous year, and in line with the company's expectations. The company's chief executive Fritz Joussen said that the group was taking a hit on margins in order to protect its market share in a tough operating environment for travel firms. Last week it cut its profit forecast, warning that underlying earnings before interest, taxes and amortisation (EBITA) for the fiscal year ending September 30 would be broadly flat from the €1.177 billion it made in the 2018 fiscal year. The company added it could no longer uphold its previous guidance for at least 10% annual growth in underlying EBITA at constant currencies during the three years to fiscal year 2020. TUI's shares have fallen almost 20% in the three trading sessions since the profit warning.